November and December have always been the hottest and most profitable period for eCommerce retailers over last 10 years. 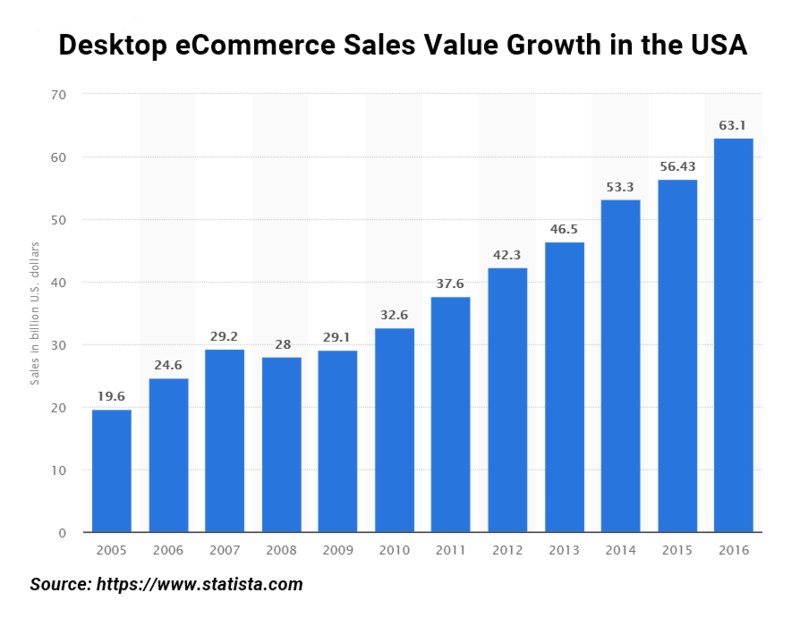 It is reported that the online sales rate has been permanently increasing since 2005 with its peak in 2016 amounted to 63.1 billion U.S. dollars only on desktop spending. And sales and deals via mobile devices reached over 17 billion U.S. dollars. The tendency to the year-over-year sales growth, shown in the infographic speaks vividly for itself. So the 2017 holiday season will, quite conspicuously, drive even more revenue to the eCommerce businesses. According to the recent report by Adobe Systems Inc., U.S. e-shoppers are predicted to spend around $110 billion this year. 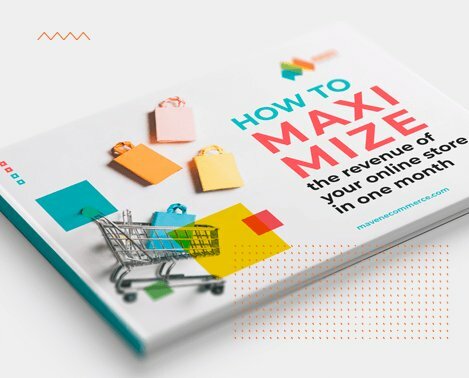 Such an uptick in digital sales spells high earnings for web store owners and makes them improve the efficiency of their online business to maximize the profit margins. Here is a checklist with 10 essential optimization tips for you to know how to get prepared for the 2017 holiday shopping season. If you happen to be a fortunate possessor of a Magento-based eCommerce store, here are several tips you should follow to make the most out of the upcoming holiday time hoopla. In the meantime, get yourself equipped with all the necessary Magento 2 extensions to enhance performance capabilities of your eCommerce platform. The first thing you should realize is that your overall one-size-fits-all marketing campaign has nothing to do with the specifics of deploying a holiday season strategy. You should develop ideas for holiday promotions early in the year. Begin to conceptualize promotions, and develop a calendar of promotions so you have timeline of the assets you need in place. At the very least, you should be thinking about the design and creation of the following: Landing pages. Product copy and images. Advertising strategies, including PPC assets. Content marketing strategies to support promotions and seasonal sales. Creative assets — banner ads, promo banners, themed images and page design. Email newsletters to publicize promotions, since targeted communications that are relevant and useful can create lasting customer loyalty and drive revenue growth of 10 to 30%, according to McKinsey&Company report. Press releases. When you’re thinking about seasonal promotions, don’t forget about “early bird shoppers”. Preparations for the holiday season shouldn’t be a panicked rush at the beginning of Fall. Leave yourself plenty of time and maybe you’ll get through to January without (too much) stress. Make sure you have responsive design for your web store to be adequately displayed across various devices. Almost 60 % of survey respondents confirmed that their websites are optimized for mobile, which is crucial for keeping customers engaged with your website. Redesign specific parts of your online store: It is a widely adoptable approach to attract customers by just enhancing the specific visual of your online store. For example, in the festive time of Christmas, the first thing that comes in mind is Santa, who are distributing gifts among people. Therefore, during the time of Christmas celebration, you can use the theme and logo of Santa on your online store and attract more customers. Make more visuals your Specific Category: Greater impact and excellent reviews of product can amplify the sales of product in an effective manner. Normally, small logo and short thumbnails of the products are not good enough to get desired results. When you have arranged a full set of products for Halloween and prepared your store for that, then you should make the visuals of whole categories that are available. This activity will increase the holiday fever in the mind of net savvy and ultimately traffic on your store increases. Season Specific Interface: There is a great facility to make the visuals of your Magento store occasion-specific. For example – using Magento, you can mold your online store for Christmas environment unity, from one page to another, from header to footer or from home page to store checkout etc. Inside the Magento administration, there is an option of “System/Design”. Using this option, you can change the design as per your requirement for specific period of time. You can take the help from reference image given below. Take a look at your store’s performance during last year’s holiday season. Consider sales, stock levels, any order fulfillment problems that arose, and particularly think about how well your eCommerce store performed under what was almost certainly its peak load for the year. Ideally, you should consider last year’s holiday season as a pessimistic forecast of performance for the coming year. Take the traffic and sales levels as a baseline, and prepare for an increase in sales. Adjust inventory planning accordingly. Did your fulfillment providers perform well last year. If not, you should leave plenty of time to move to a different provider or add additional capacity. If your eCommerce store suffered from performance degradations during the holiday season, now’s the time to do something about it. One of the most disheartening experiences an eCommerce store owner can have is for their store to fall over on the busiest shopping period of the year because it has insufficient resources. Consider upgrading to a more powerful server if you suspect there might be problems — it’s always better to have redundant capacity than conspicuously poor performance. Just in case you still need a helping hand to get your eCommerce store prepared for the holiday season, feel free to contact us right away so that our experts can share the best optimization solutions fitting your very online business.